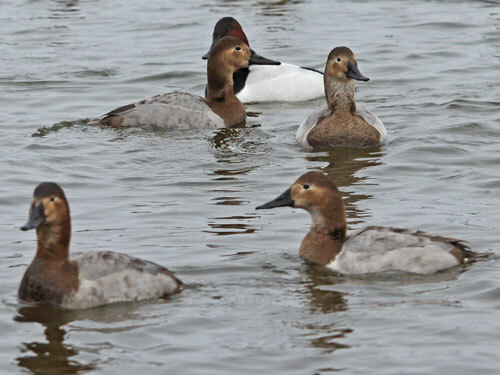 The canvasback is often regarded as the vanguard diving duck that winters on the Chesapeake Bay. 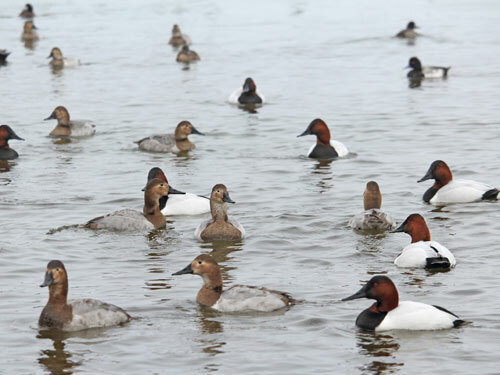 Canvasbacks are easily recognized by their arched necks, sloped heads, and slender black bills. Canvasbacks are similar in appearance and closely related to redheads and scaup. 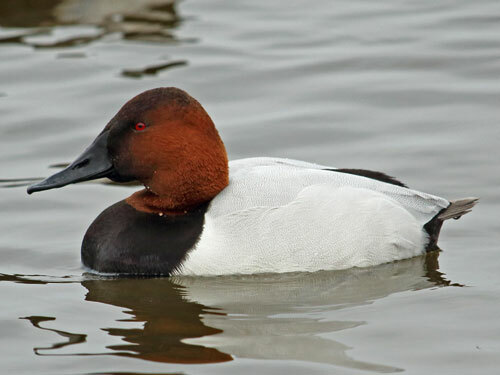 Male canvasbacks have brilliant red eyes, red-brown head, black front, and silver back. Females have a brown head and front with blue-gray back.